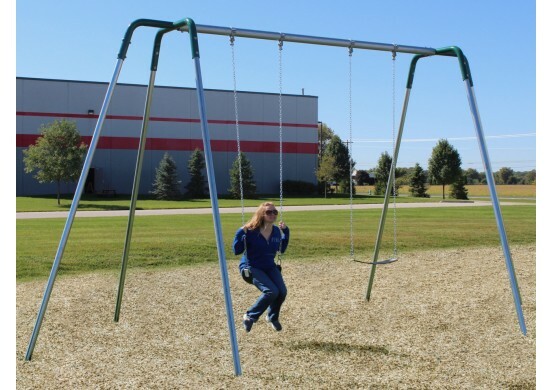 The Elite Tripod Swing with a 12-foot top rail height is the tallest swing in its product line, which means it swings faster and farther than all of the rest. 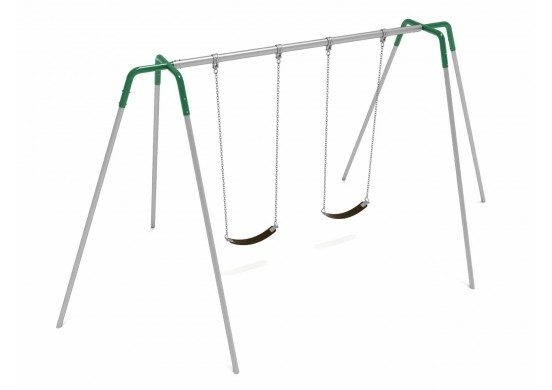 However, it is made with the same durable material and meticulous design as all of our other swing sets. 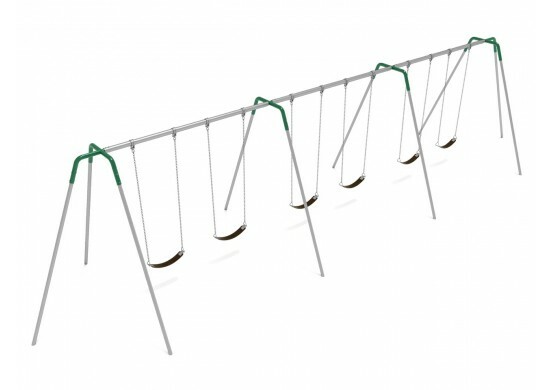 The galvanized steel frame is extremely sturdy, and has strong hangers which support the swing without slowing it down. 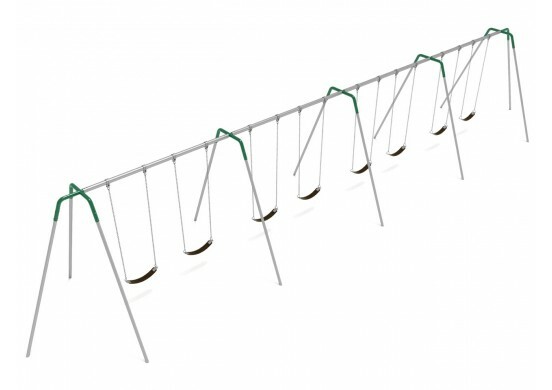 Assembly is surprisingly simple, and additional bays can be added on later without much difficulty. 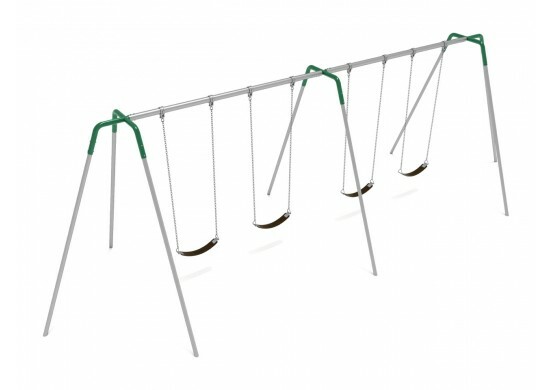 Up to four bays, each supporting two individual swings, can be purchased as a single set. 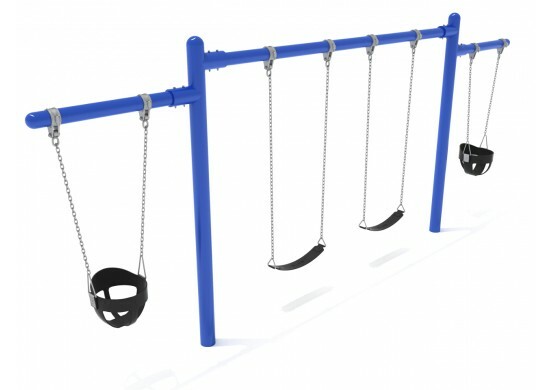 It comes standard with simple, streamlined, black plastic belt seats. These seats have a hidden steel insert embedded into them which makes them incredibly sturdy so that you won’t have to buy a replacement any time soon. To accommodate younger or disabled riders, alternate seats can also be purchased from our website.